Over the past decade, STEM education has been moving to the forefront. Careers in the field of Science, Technology, Engineering, and Mathematics are increasing, yet only 16% of high school students are interested in STEM careers and have a proven proficiency in Math. If the United States is going to continue to be a leader in the world, students not only need to have more opportunities in exploring STEM but to increase their proficiency in related skills and concepts. In 2009, President Obama announced an “Educate to Innovate” initiative. This campaign focused on motivating and inspiring students to excel in STEM subjects. Obama’s administration continued their support of STEM education in 2014 by increasing the budget to spend $3.1 bullion dollars in funding for federal STEM programs. While the economic benefits of STEM education for our country are notable, it’s important that parents realize that STEM education has individual and specific benefits for their children, even in the primary and intermediate grades. STEM education builds and encourages problem solving skills. In STEM activities, students learn how to analyze problems and then work to correct and overcome them. STEM education instills creativity. In our world of innovation, creativity is the fuel for new technologies and ideas. Creativity allows students to see problems in new ways and to think outside of the box. STEM education gives kids the edge in flourishing careers. Having experiences in elementary school where students can have hands-on opportunity with STEM activities, they will gain important knowledge and skills. More and more careers require advanced mathematical and scientific knowledge and ability. Becoming introduced to science and math at an early age will give students an advantage. STEM education is an authentic learning experience that integrates four major content areas and brings real-world application to those areas. So much in our world is interconnected. Students need the opportunity to collaborate and apply all of their skill and knowledge to solve a problem or improve an idea. 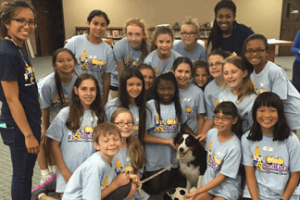 Club SciKidz and Tech Scientific camps are designed with STEM education at the forefront. 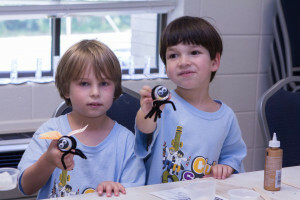 With our camps and clubs, children participate in hands-on science and technology experiments and activities. Children also learn to and are encouraged to analyze, predict, and problem solve. At the same time, students have fun. They see and experience that science is cool. They realize that they can invent and create. Whether you are looking for an after school program or a summer camp, we have a club/camp to meet your needs and capture the interest of your scientist.